Starting today, Instagram is giving a few select brands access to its new in-app shopping tool, which will allow users to browse, view product details, and even make a purchase all from within the Instagram app. While in-app purchasing is still reserved for major brands, Instagram will be extending these privileges to more businesses later this year. Shopping tags were first introduced in 2016, but this is the first time users will be able to not only tap on the featured products for more details but also make a purchase without having to leave the platform. 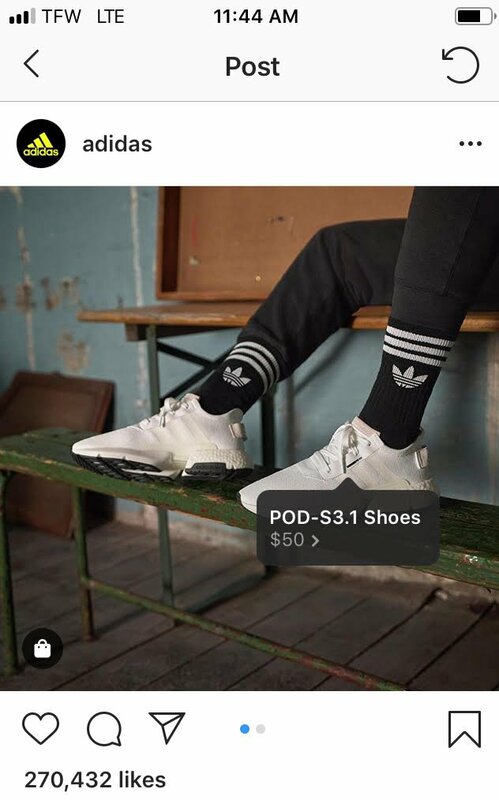 As another step toward making shopping through Instagram as streamlined as possible, users can choose to store payment details within the app's database to make the checkout process lightning-quick. With 80% of users following at least one brand on Instagram and 60% of users discovering new products through the platform, it's clear that IG isn't just for keeping in touch with your real-life social circle. It's also a place where people go to find inspiration for products they can use in their own lives. Just look at the comments under any fashion influencer's post, and you'll see people clamoring to find out where they can buy the same outfit. Part of the success of IG as a shopping platform comes from the fact that it's not really about selling a product. It's about selling a lifestyle. Walking along the beach in a string bikini, drinking a cold protein shake after a fantastic workout, choosing just the right decor to adorn your new house–the products featured in IG posts are just the vehicle through which you can vicariously live the lifestyle you desire. That's why the steps that Instagram has taken to integrate shopping into the app have been so successful. With subtle features like shopping tags and in-app purchasing, IG keeps the focus on the content, not the sales pitch. The shopping experience comes second to the social experience offered by the app. By keeping these details as unobtrusive as possible, while still giving users an easy way to find more information if desired, IG strikes the perfect balance between advertisement and entertainment. Thanks for reading! If you’re interested in talking more about social media, marketing, and branding tweet me @realmikespeer. Hey Buddy!, I found this information for you: "Instagram: Your New One-Stop Shop". Here is the website link: https://mikespeer.com/instagram-your-new-one-stop-shop/. Thank you.